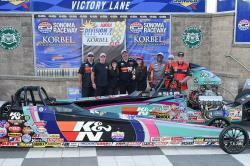 Steve Williams, K&N’s Chief Engineering Officer, claimed victory in the Super Comp category of the NHRA Lucas Oil Drag Racing Series Division 7 final on July 22. His racing protégé, twenty-one-year-old Madison Whitten, was the runner-up—after a dramatic racing weekend that pitted the two against each other for the first time ever. As the head of research and development, Williams has been instrumental in the development of K&N racing products for over two decades—and has amassed many notable wins in his personal racing career, including four NHRA Division 7 championship titles and over 40 “Wally” trophies. In 2014, he claimed the NHRA Division 7 Super Gas Championship, followed by a third-place finish in the Super Comp national rankings in 2016. Madison is the daughter of Doug Whitten, a Product Development Technician in the race shop at K&N and a long-time friend of Williams. With her father has her crew chief—a position he continues to hold—Madison began racing in the junior category in 2010 under the mentorship of Steve. 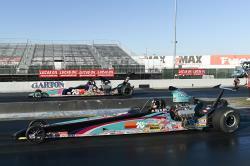 In 2011, following her first full season of racing, she won the 2011 Fontana Dragway Track Championship for the 13-to-14 age group. In 2012, she was the Barona Track Division 7 Champion, followed by a WHP Track Championship and Jr. Finals Championship in 2014. With support from her father and Williams, she began racing Super Comp in 2015. "K&N has been the biggest support of my life since I started racing in 2010," says Madison. 1. Steve Williams, Beaumont, Calif., '10 TNT, 8.920, 183.99 def. 2. Madison Whitten, Corona, Calif., '14 American, 8.865, 160.86. Both racers’ dragsters feature K&N products including scoops, oil filters, air filters, and fuel filters—many of which Williams has been influential in developing over the years. K&N is proud to have the knowledge and experience of Chief Engineering Officer Steve Williams, who has applied decades of first-hand racing knowledge to the development of K&N products for automobile enthusiasts worldwide. 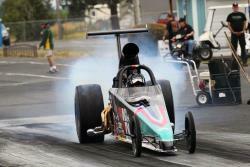 Find K&N performance products for your vehicle at knfilters.com.